We have three fantastic and colourful workshops coming up with the most splendid Fizz Goes Pop. If you have not seen Liz's work check it out here! Liz creates laser cut jewellery and headwear. The Fizz Goes Pop brand is unique, colourful and all round splendid. We are very pleased to be collaborating with Liz! Like all or workshops they will be fun, relaxed and you will create a beautiful item to take home. We have added links to purchase tickets but if you would like to avaoid booking fees click on the email icon. This Saturday 19th May we have Pimp Ya Jean Jacket 2pm - 4pm just £20 per person! This is the first of our Summer of Fun workshops, come and show your festival denim jacket some love, passion and sparkle and join us to transform and create a tassel-tastic, pom-pom-afied, glittery-jewel dream! Buy tickets here! 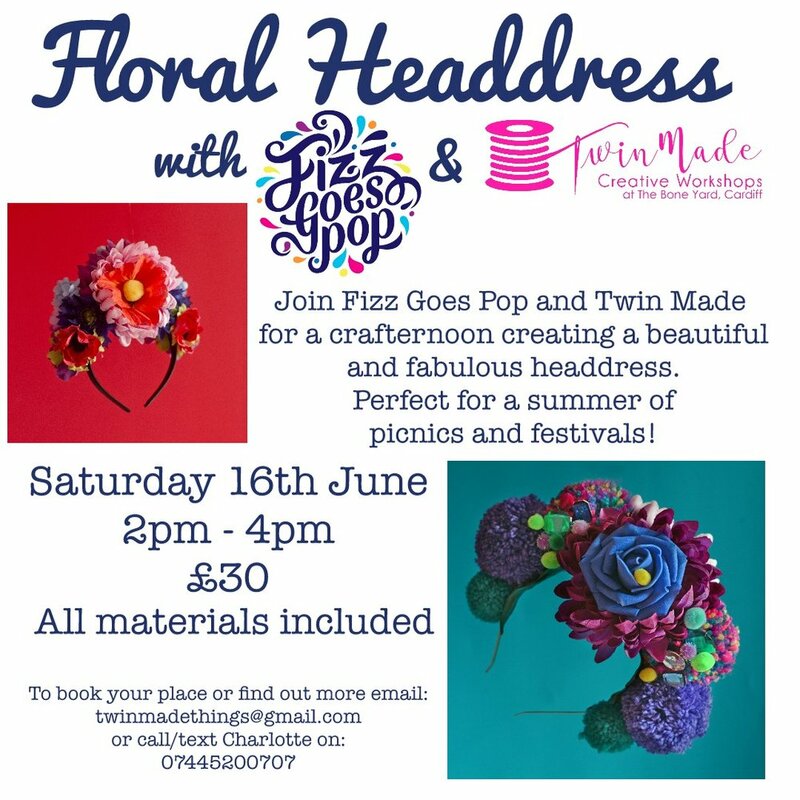 On Saturday 16th June we are introducing two new workshops the first is Floral Headdresses: join us for a crafternoon creating a beautiful and fabulous headdress. Perfect for a summer of picnics and festivals! Buy tickets here! And then our Neon Light workshop! This will be super fun, join us to create a unique and colourful neon light. Book tickets here! There are links to book tickets via Eventbrite or click on the email icon to get booking!